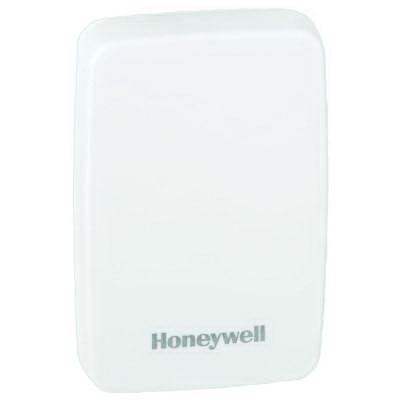 Honeywell Remote indoor temperature sensor with 200-ft sensing distance, is used to sense temperature if the thermostat is installed in a poor temperature sensing location. It has an ambient temperature rating from 7 to 32 deg C and display range from 0 to 99 deg F. The plastic housing ensures durability. The sensor mounts directly on the wall using mounting screws and anchors provided. It is suitable for VisionPRO® and VisionPRO® IAQ series thermostats.